Chris is a born and bred Coaster who has returned to his roots after a pretty lengthy sojourn. He practised in Christchurch as a veterinarian for 25 years and then became employed as a guide for Canterbury based company Hiking NZ. He has guided tours around the South Island for the last 7 years, spent time living in Germany and then 7 years ago along with partner (now wife) Birte they decided to make Hokitika their home. A friendship developed with local identity Mike Keenan (Mr Wildfoods) who was keen to tell the newcomers all about the cycle trail that was going to be built in the area. Mikes passion for the trail rubbed off on Chris and Birte and it wasn’t long before plans were in the pipeline to start a business that would provide logistical support for riders coming to the coast to ride the trail. Chris is out on the trail at every opportunity and knows the sections from Kumara to Hokitika better than the streets of Hokitika. He brings his many years of guiding experience to the business and wants his clients to feel that they are more than just passengers in his van. The trail goes through some quite isolated areas and there is a real need for riders to be self sufficient and well informed about the track and weather conditions and also to know that there is backup available if it should be needed. Chris is keen to provide good honest “local” information to anyone planning to ride the trail and to ensure that when they do come they are fully prepared and can go out and enjoy what truly is an amazing adventure. He looks forward to hearing from you. Birte hails from Germany and has a background in communication and education. She left a highly successful career in Cologne to follow her heart to NZ and has already made a big impact on the good folk of Hokitika. She has been involved in community events like the Driftwood & Sand festival, the mid-winter Lantern Parades, the Culture Feast and many others. Presently she is the Service Coordinator for ‘New Coasters’, an organisation that reaches out to people who have moved to the West Coast from all parts of the globe. Birte is a keen amateur photographer and is responsible for most the great images that keep popping up on our facebook page. She has a love for the natural beauty of New Zealand, especially the West Coast and is always keen to explore new places. 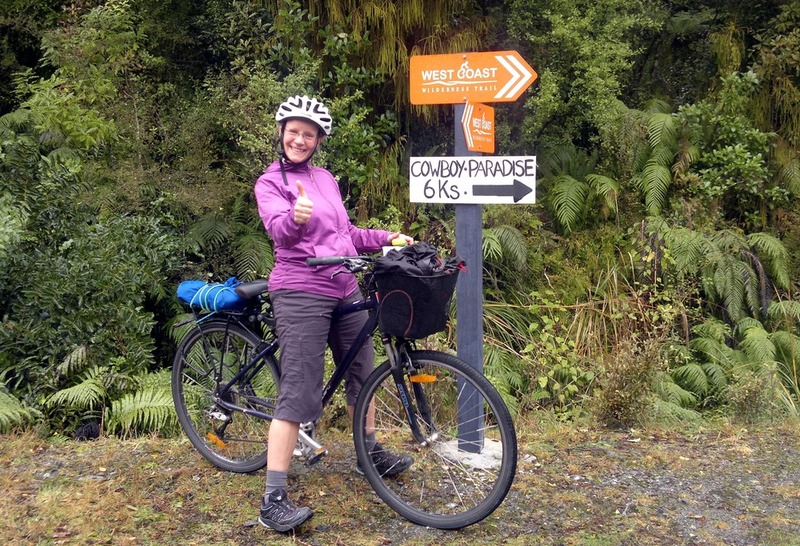 She gave the West Coast Wilderness Trail the thumbs up from the very first time she rode on it and is really excited about seeing its development and helping people to get out there and enjoy it. Just as importantly for Wilderness Trail Shuttle she is super organised and full of good ideas so there will be no chance of slacking on her watch.